More than 600 Tunisian Jihadists have returned to their homes after fighting in Syria, a spokesman for the interior ministry said on Friday. Speaking to journalists during a conference to discuss the consequences of returning terrorist Jihadists, Waleed Al-Waqini said that more than 3,000 Tunisians have gone to fight against the regime in Syria. While at least 600 have gone back to Tunisia, he pointed out that 800 others have been killed. An unspecified number of those who have returned are being prosecuted, he added, and some are under house arrest. A previous UN report claimed that at least 5,500 Tunisian Jihadists were active in different conflict areas. Most are members of Daesh in Syria, although some are with Al-Nusra Front and Al-Qaeda. The report also claimed that hundreds of Tunisian fighters are in Libya. National Geographic has a new article on Jewish extremist violence against Christians in Israel and the West Bank. … Israeli Prime Minister Benjamin Netanyahu quickly designated the fire as a terrorist attack, making the church ineligible to draw on insurance but paving the way for government compensation. Two months later, the Israeli Tax Authority declared that the violent event did not qualify as terrorism, and therefore could not receive government funding. In the meantime, a group of Israeli rabbis started a crowd-funding campaign that raised $13,000 so that the church can start work on a new reception area for pilgrims. Rabbi Alon Goshen-Gottstein, director of the Jerusalem-based Elijah Interfaith Institute, led the effort that included the head of the Knesset, Israel’s parliament. Follow the links posted below to read up on some of those rabbis the Jewish terrorists look up and follow. 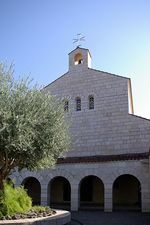 As for the government, and especially Prime Minister Netanyahu (who is arguably the most dishonest man ever to hold high office in Israel), to use the Church of Multiplication of Loaves and Fishes hate crime arson for your own political ends and causing the church to lose its insurance money in the process, is truly vile. The Netanyahu needs to immediately pay to fully repair the church. If it doesn’t do so, no excuse – not even the standard (and often true) complaint about layers of Israeli government bureaucracy – should be accepted. At Gopstein Wedding, Settlers Dance, Sing, Rejoice With Machine Guns And Knives Held Aloft To Celebrate Murder Of Palestinian Baby. The Horrific Jewish Wedding Song That Celebrates Murder. Senior Rabbi Of The New “Sanhedrin” At Wedding Where Settler Youth Celebrated Murder Of Palestinian Baby. John Kerry, the US Secretary of State, recently visited Moscow to discuss the Syrian crisis with his colleague Sergei Lavrov and President Vladimir Putin. Journalists observed handshakes, smiles, even hearty laughter, between Kerry and his Russian counterparts. Syrian President Bashar al Assad does not have to resign immediately, Kerry declared, and the United States is not trying to isolate Russia. What good news, and what a surprise for the Russians. The Moscow show seemed a great success. Kerry strolled along Stariy Arbat Street, met smiling Russian pedestrians and bought souvenirs to take home. A few days later the UN Security Council passed a resolution, calling for a ceasefire and negotiations. Russian and western journalists alike now say there is some hope to avoid the worst in Syria. And as you may already know, if the United States wants a ceasefire, it’s because their «moderate» Jihadist allies are getting beaten up now by the Syrian Arab Army backed by Russian air support. Is cautious optimism warranted about a Syrian peace? It is hard to see how. Kerry may say whatever he wants in Moscow, but when he gets back to Washington, he sings a different song, or his colleagues do. His boss, President Obama, said «Assad has to go» only a few days after Kerry returned home. And then there is the new phantasmagorical story published by Seymour B Hersh, the muckraking US journalist, who has revealed that not everyone inside the US government is brain dead. It’s a remarkable discovery when you think about US foreign policy. Some military officials, and no less than the former Chief of Staff, General Martin Dempsey, were actually indirectly, and very secretly, passing military intelligence to the Syrian government to help it fight Daesh, Al-Qaeda and allied Jihadist forces operating in Syria. At the same time, the CIA, with Obama’s support, was sending arms hither and thither in Syria to help the Jihadists overthrow the Assad government. General Dempsey left office in September 2015 and was replaced by General Joseph Dunford, a true blue Russophobe, who says Russia is an «existential threat» to the United States. It is a classic Washington response: the US aggressor accuses its intended victim of aggression. Just the other day (22 December), the United States slapped on gratuitous new sanctions against Russia. It’s the same old pretext: Russian «aggression» in the Ukraine. Yet another US provocation, you might think, as Russia searches for a peaceful settlement of the Syrian war. The Russian government is taking a sensible position, but in the present circumstances, is a negotiated peace a real possibility? If the war in Syria were simply a civil war, as is often repeated in the media, you could encourage the belligerents to put on suits and ties and sit down at a table to negotiate a settlement. Unfortunately, the war in Syria is not a civil war: it is rather a proxy war of aggression led by the United States, Britain, and France (until the Paris massacre in November), and pursued vigorously in the region by Turkey, Saudi Arabia, Qatar, Jordan, and Apartheid Israel. Turkey is playing a dirty, evil role. It provides arms and supplies across its borders for Daesh in Syria. Oil taken from Syrian wells by Daesh travels in the opposite direction, sold at cut rate prices, to provide revenue to the Jihadists for their war against Assad. It is estimated that Daesh was obtaining $40 millions a month from exported oil (before Russian intervention), but this is a bagatelle in terms of the money necessary for the Jihadists to wage war against Syria. Hundreds of millions are required. Saudi Arabia and Qatar are important suppliers and financiers of the Salafi Jihadist movement. Jordan permits training of Jihadists on its territory and allows passage across its frontiers into Syria. Israel also provides support from the occupied Golan territory, even providing medical care to wounded Jihadists. A coalition of states, four of which are NATO members, is waging a war of aggression against Syria. Against this array of deadly enemies, the Syrian government and the Syrian Arab Army, in a remarkable feat of arms, has been able to hold out for more than four years. President Assad has proven his courage and tenacity as a leader by refusing US summons to resign and by staying in Damascus to share the personal danger which all Syrians must endure simply to live in their country. No wonder Obama wants to get rid of Assad before talk about Syrian elections for he would almost certainly win them. Sputnik in Moscow has estimated that there are as many as 70,000 foreign Jihadists fighting in Syria. These forces appear for the most part are well motivated, supplied largely with US weapons and deeply entrenched in various parts of Syria. Since the Russian intervention on the side of the Syrian government, progress has been made in rooting out Jihadist forces, but as long as supply routes remain open across Turkey, Iraq, Jordan, Israel, even Lebanon, the war in Syria is not going to end. Turkey’s role is particularly dangerous. It is a NATO member and it uses this privileged position to commit acts of aggression against Iraq and Syria. 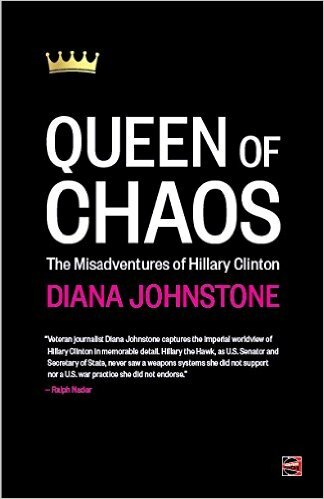 It shot down a Russian warplane in a well-planned ambush, likely with US connivance, and then ran to hide in NATO’s skirts. Apparently, the Turkish government hoped to sabotage budding European cooperation with Russia against Daesh, or to provoke a NATO-Russian war, as insane as that might seem. 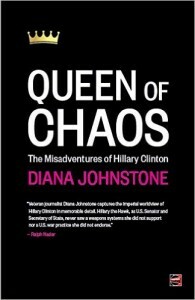 Other NATO members, the United States, France, and Britain, have also been deeply involved in the proxy war against Syria. Indeed, after the destruction of Libya, it has been reported that NATO planes were secretly used to transport Jihadists and Libyan arms to other Middle Eastern fronts. NATO members are effectively allied with Daesh and its Al-Qaeda derivatives against the Syrian government. To be sure, the United States and its European vassals have attempted to cover up their links to the Jihadist war in Syria by launching make-believe air attacks on Daesh targets, occasionally bombing a caterpillar tractor here or there and blowing up a lot of sand in people’s eyes. Russian intervention exposed the double game of the United States and changed the balance of military forces in Syria. Even now however, the US air force sends warning messages to Jihadist truck drivers to get away from their vehicles before it attacks them. Or it refuses altogether to attack trucks carrying Daesh oil, claiming it’s private civilian property. How preposterous! Since World War II, when has the United States hesitated to attack civilian targets? It is understandable that Obama and the CIA, having been caught red-handed in Syria, are furious with Putin for exposing them. Nevertheless, the Russian government has offered the United States, a porte de sortie, pushing for an anti-Jihadist alliance and peace talks to settle the war. Peace is a marvelous idea and the US escape route, a practical gesture, but how is Foreign Minister Lavrov going to get Saudi Arabia, Turkey, Qatar, Jordan, and Israel, not to mention the United States and Britain, to stop supporting the Jihadist movement in Syria and Iraq? Talk about an impossible alliance: it’s like taking a writhing nest of asps to your breast and hoping they won’t bite you. Are such hopes realistic? «Maybe not but that’s diplomacy,» Lavrov might respond: «we have to try nevertheless». These days it takes infinite patience and great theatrical skills to be a Russian diplomat. Russia is trying to finesse the United States into dropping its support of «moderate» Jihadists. In fact, such moderates do not exist. 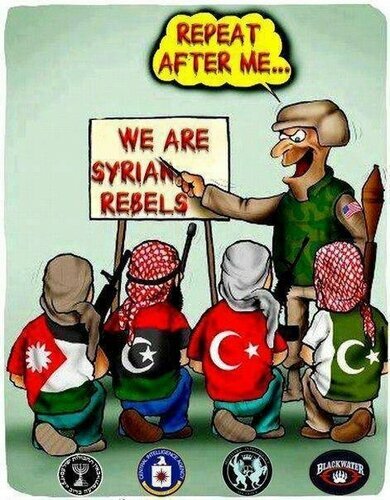 Neither does the so-called Free Syrian Army (FSA). The Jihadists decapitate a few hapless victims, and FSA volunteers run away in horror leaving their arms for Daesh. Or, they laugh at the infidels’ stupidity and go over, arms in hand, to the Jihadist side. Even if Russia could get real commitments from the United States, which is as yet quite uncertain, what is to be done about Turkey, Saudi Arabia and the Gulf states? And what is to be done with all the foreign Jihadists in Syria? Are these terrorists and war criminals going to be encouraged to return to the 40+ different countries whence they came to stir up violence there? And what is to be done about the Syrian Jihadists, though there is no open source information about their numbers? Will they be allowed to remain at large, or worse, will they be recognised as a legitimate Syrian opposition? Even an anti-Jihadist coalition of willing members will have hard work rooting out Daesh and its allies. But the coalition of asps which Russia is trying to organise is composed of Daesh supporters. How is that going to work? One fears not at all well since the would-be alliance members, with the possible exception of France, have not abandoned their backing of Daesh, whatever one hears to the contrary notwithstanding. 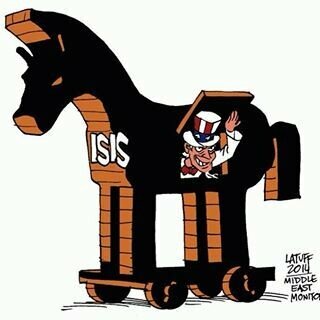 The United States remains the chief culprit continuing to pursue its two-faced, dangerous policies. «The four core elements of Obama’s Syria policy remain intact today», Seymour Hersh says: «an insistence that Assad must go; that no anti-IS (Islamic State) coalition with Russia is possible; that Turkey is a steadfast ally in the war against terrorism; and that there really are significant moderate opposition forces for the US to support». Policy based on false premises invariably leads to failure. Obama’s policy is no exception. Assad is a courageous leader of Syrian resistance against the Jihadist invasion. The only possible successful coalition against Daesh, Al-Qaeda and their affiliates is with Assad and with Russia. Turkey is a dangerous provocateur, playing with matches amongst open kegs of gunpowder, trying to drag NATO into a deeper de facto alliance with Daesh or even war with Russia. Finally, there are no «moderate» Jihadist forces in Syria. 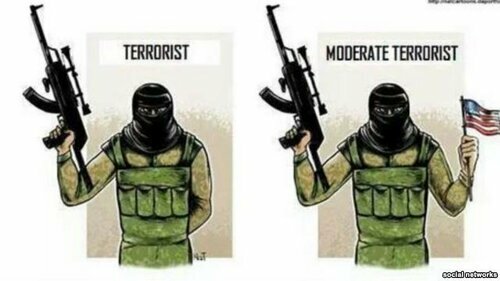 The Free Syrian Army barely exists at all, and the so-called moderates are no less murderous than their Daesh allies. One cannot fault the Russians for trying to organise an anti-Jihadist alliance in Syria, but their potential allies, apart perhaps from the apparently repentant French, are all snakes in the grass. And Obama, the Nobel Peace Prize winner, is the biggest snake of all. «Do you realise what you have done?» Putin asked at the UN in September. Not yet apparently, reports to the contrary notwithstanding. But then, as we know, there are none so blind as those who will not see.